CAM hosts the Queso Meltdown to help raise awareness of CAM’s mission and service to the people of San Antonio. 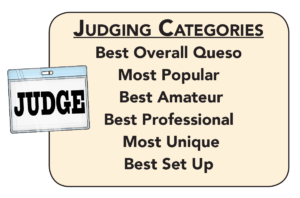 Similar to a chili cook-off we’ll be tasting and judging the best queso in town. This event is open to the public and includes music, kid-friendly fun, vendors, food trucks, margaritas and lots of cheese! Each entry will be judged by a panel of judges from our San Antonio restaurants. 2017 was our inaugural year and it did not disappoint! 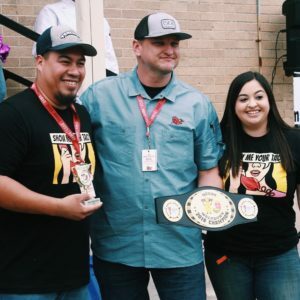 Tourchy’s Tacos was our big winner of the 2018 Best Overall Queso! Like us on Facebook for the latest event updates and fun chatter about Queso! If you have any questions, contact our Director of Development, Sarah Kory, via email or at 210-223-4099.